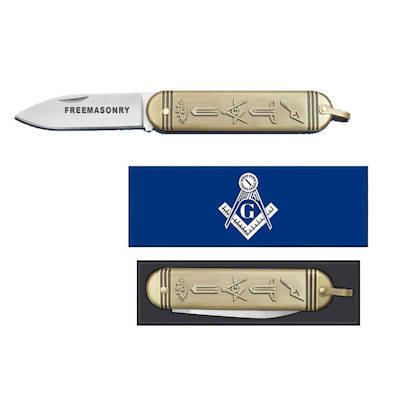 Masonic Trowel Under One Dozen #453, Los Angeles Fraternal Supply Company Inc. 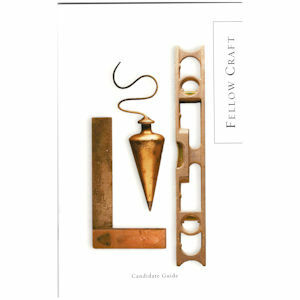 This Masonic Presentation trowel is made of bronze and has a wood handle. 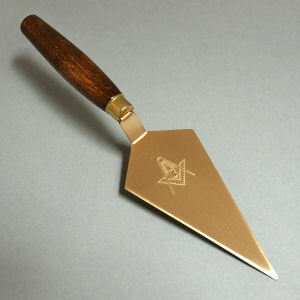 The Masonic emblem is etched into the face of the trowel and is then plated gold. This trowel is approximately 7 inches long and is suitable for engraving the lodge name and number on the front and the candidate information on the back.